I just seen this bird for the first time while I was in Florida, will post pics too thanks for sharing. Every time I see it I’m amazed. Did you know they swim underwater??? So they do this to air out their wings! Looking forward to seeing your photo! Makes you wanna hop on her back and fly together to…..Beautiful picture! Anhinga! New bird for me. 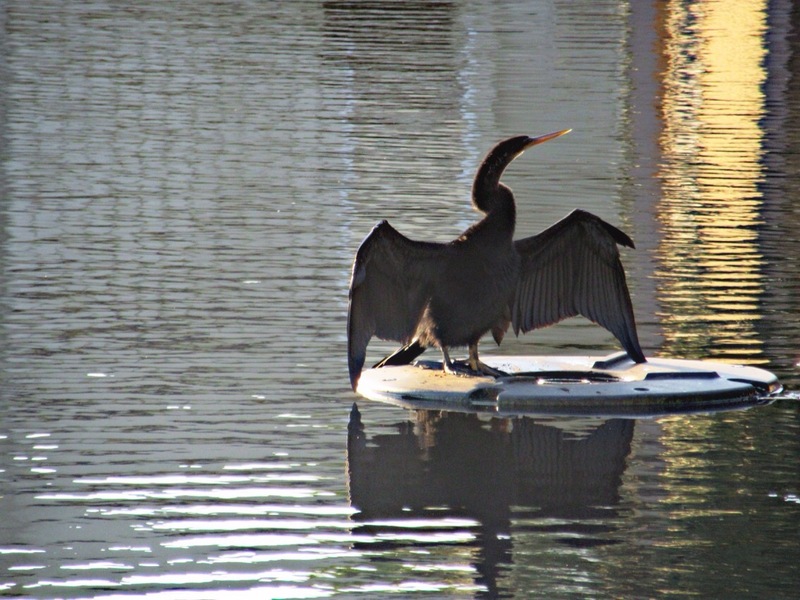 When I first saw this wonderful photo I thought cormorant, because they dry their wings out like that and are familiar to me…but then no it was just too large and on the edge of prehistoric looking. Great photo by the way. Thank you for sharing. Thanks for the comment JoHanna! I was wondering how you were doing. And thanks for the photo compliment! Yes. This bird is very interesting to watch. It hangs out in trees, swims under water and perches here to dry its wings out. It’s also the only bird I’ve seen that hangs out alone. What is this one? You know my guess. Crazy Florida birds! Okay, you win. I’ve never even heard of this one!